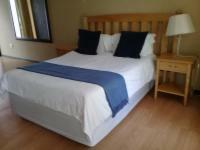 Mbombela Holiday Resort & Spa is situated just outside of the capital of Mpumalanga, in Nelspruit. 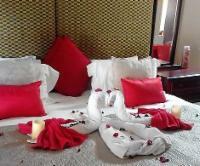 The resort comprises of 28 standard rooms, eight deluxe rooms, seven suites and two executive suites. 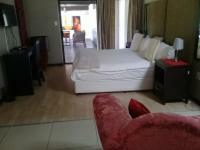 All of the rooms feature en-suite bathrooms, lounge areas with DStv and air-conditioning. The resort also offers guests a lovely spa, a gym, a swimming pool, Wi-Fi Internet access, braai facilities, a restaurant and secure parking. Nelspruit has many great attractions in and around the area, including the Lowveld National Botanical Garden, the Sudwala Caves and the Kruger National Park, which is just around the corner. 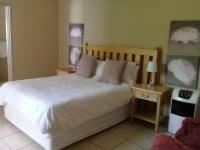 Room 42 Sleeps 2 Includes: B & B The rooms also have en-suite bathrooms, lounge areas with DStv, air-conditioning and tea and coffee facilities. 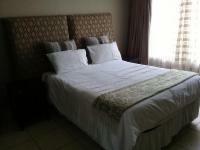 Room 46 Sleeps 2 Includes: B & B The rooms also have en-suite bathrooms, lounge areas with DStv, air-conditioning and tea and coffee facilities. 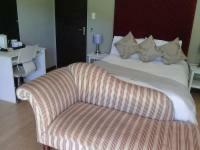 Room 52 Sleeps 2 Includes: B & B The rooms also have en-suite bathrooms, lounge areas with DStv, air-conditioning and tea and coffee facilities. Mbombela Holiday Resort & Spa is 20.9km from the centre of Nelspruit , the nearest airport 34.9km (Kruger Mpumalanga International Airport).